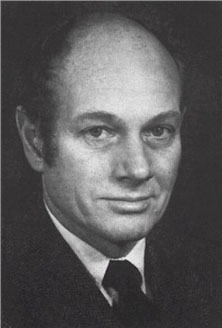 American astrophysicist James W. Cronin showed that certain subatomic reactions do not adhere to fundamental symmetry principles. Inspired by a paper written by Tsung-Dao Lee and Chen Ning Yang concerning the conservation of parity during certain nuclear reactions, Cronin and his colleague Val Fitch showed in 1964 that, in addition to the already understood pattern of decay of neutral kaons (wherein one type of kaon could decay into two separate pions, but the other type could not) the other type of kaon actually could decay into two pions, under certain circumstances. This violated the principles of CP symmetry (combination of C symmetry and P symmetry) that were thought to govern neutral K-mesons, showing that the decay of kaons is asymmetrical with respect to time reversal, and that the laws of nature are applied differently to matter and antimatter. For their work, Cronin and Fitch shared the Nobel Prize for Physics in 1980.